Shot at Teddy’s Bigger Burgers, in Harajuku. 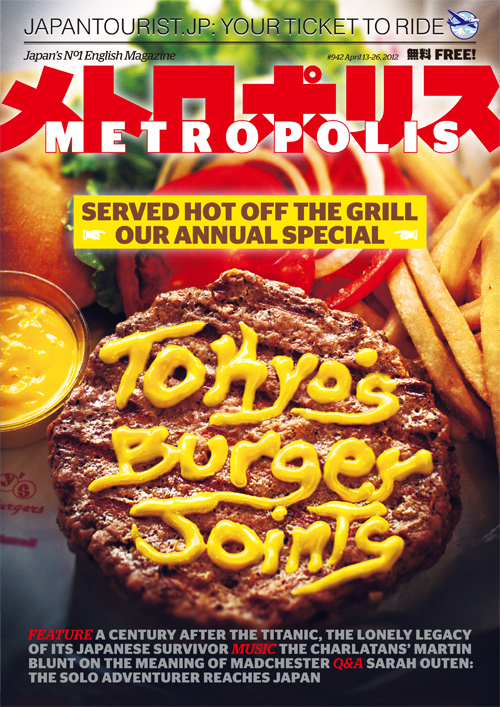 The mustard lettering by Ted Tsakiris, assisted by Jeff (Metropolis’ editor) and Shane (co-worker designer). At the end, we all enjoyed the burgers, it tastes good, highly recommended for big eaters!